Obake puzzle is like no other obake (ghost in Japanese). At first glance it looks like an ordinal wooden puzzle piece, but their eyes start to glow as you fit the pieces together. It is an interactive jigsaw puzzle produced by digital fabrication and technology. The Obake puzzle has only 11 ghost shaped pieces, but it is much more difficult than you would expect. The pieces that make up the puzzle are composed of simple curves and have no front or back side. Its two faced appearance makes the puzzle hard enough not only for young children but also for adults to enjoy. As for the appearance, the image of ‘physical toys’ is emphasized. Using wood as a material makes you feel warm and familiar, touching nature and filling you with positive memories of childhood toys and joyful play. 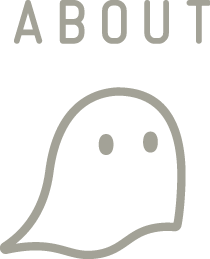 The Obake has no electric contact on the surface. It gives you a surprise when the ghost’s eyes begin to glow by using contactless power transmission technology. The ghosts come to life in these handcrafted pieces, through sandpaper polishing, varnishing and adjusting the grain patterns of plywood. The fine handwork brings out a better appearance and texture, which cannot be obtained only by digital fabrication tools but also from the creativity of the human hand. ・The receiving circuit board is housed in the space of 1.5mm height. Those circuits are printed in 2 layer substrates of 0.6mm height and it enables to turn on the LED in both sides without electric contacts. ・The main substrate is located under the OBAKE PUZZLE logo. The wireless sending circuit board and cables are housed in the space of 1.5mm height. Once people play with the Obake puzzle, they will start talking to each other, turning strangers into friends. The Obake has a mechanism that brings a childlike wonder to all with its unexpected difficulties and the glowing eyes. This creative piece also has grounds for further development offering a new proposal about the color of glowing eyes, of varying size and shapes, these new ideas invent themselves as the possibilities are endless. 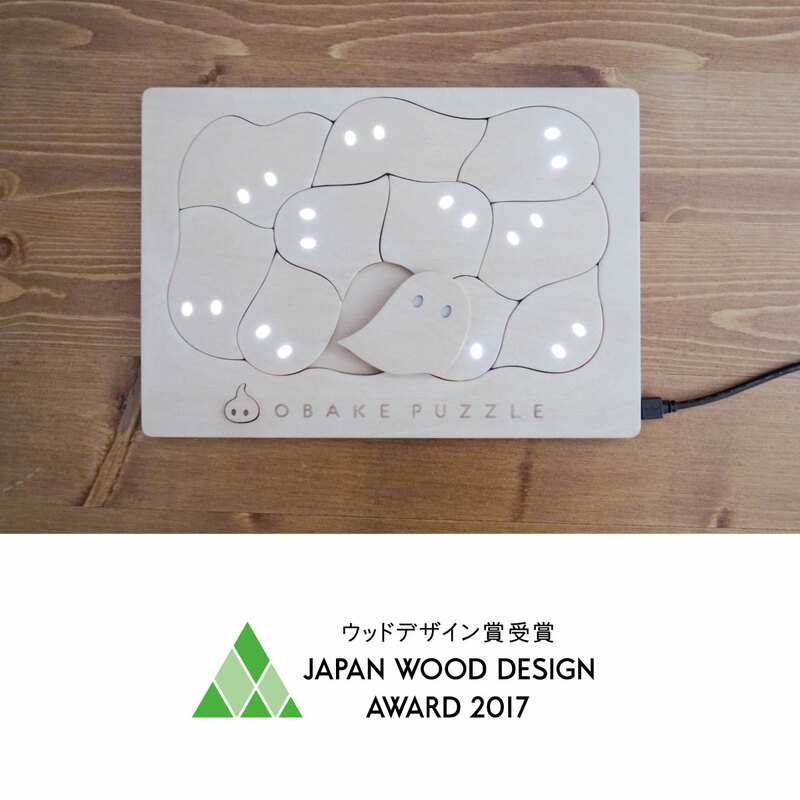 The Obake’s simplicity and familiarity of the puzzle provides an opportunity for even adults to play, with its surprising difficulty and the anticipation for the glowing eyes that can stimulate the Obake puzzle players to turn on their emotions and touch the hearts of all ages. "Technology and Research - Health Care Design"